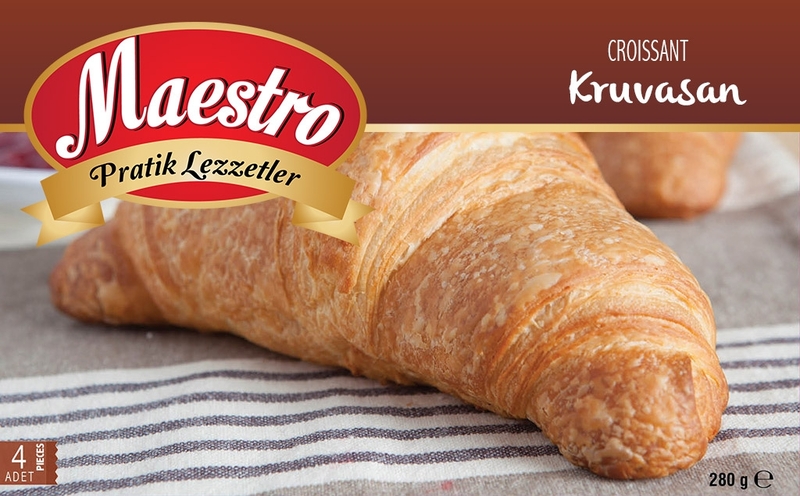 A French crescent shaped breakfast pastry specialty. Made with locally sourced ingredients and quick frozen for freshness. Wheat Flour, Margarine, Milk, Water, Sugar, Yeast, Egg, Salt.